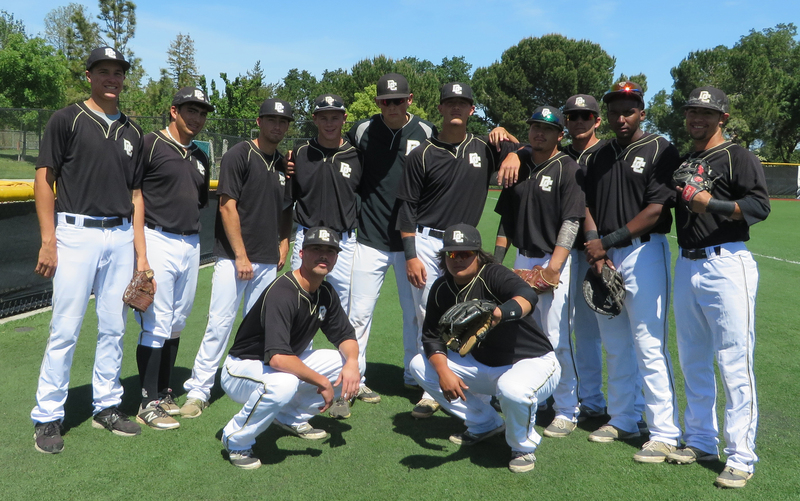 The Delta College baseball team is ranked first in the state as the regular season comes to a close. As the Mustangs prepare for the teams final game on Apr. 25 against Cosumnes River College, players on the team are enthusiastic about the results of the regular season as well as the playoffs. “The season is going really well,” said sophomore pitcher Eric Sandness. “We’re growing a lot as a team, we’re becoming really close, which is nice now that we’re coming near playoffs. So far, in this 2014 season Sandness has a 3.20 ERA, with 17 strike outs, and has recorded two saves for the Mustangs pitching staff. “We’re all buying into what our coach has been telling us what to do … It is really nice we’re starting to peak, we’re starting to have fun playing baseball,” he added. Before the game against Diablo Valley, players work together to set up the field and practice on fielding ground balls during warm-ups. The Mustangs look like true teammates with the same goal in mind… Winning a championship! “This is probably my favorite team I’ve ever played on and I love being out here with everyone,” said sophomore Phillip Clark. Clark’s contribution to the team this season include a .275 BA and 17 RBIs. Delta won a home game against Diablo Valley College 3-1 on Apr. 18, the victory gave the Mustangs a season sweep over Diablo Valley 3-0. Head Coach Reed Peters is proud of the teams progress this season. “Well so far it’s going pretty well, you know it’s very competitive which we fully anticipated every year in our conference,” said Peters. “I think right now we have seven of our eight teams in our conference are in the top ten… but so far we’re in a good spot,” he added. “We’re in first place (in the Big 8 Conference) right now with a couple games left, we have a real good team, we’re coming together and everyone is playing together as a family and it’s real fun to be out here,” said Clark. Overall, the team is doing a great job of working as a team and making it a good season from start to finish. The team is also doing well in other areas. Such as, moving on to bigger things. “We’ve got a lot of guys transferring out and that’s kind of our goal every year, we’ll have three or four guys drafted professionally this year, I think we’ll have three or four guys drafted professionally this year and we should have eight to ten guys get Division 1 scholarships,” said Peters.